However, the orthodox development and operations cycles form a huge barrier in rolling out services and updates quickly. To overcome the problem of delay in time to market and reduce the chances of failure, a new working principle which is known as DevOps came into being. For beginners, as the name suggests, DevOps is a set of processes that bring together the development and management of IT services or applications. 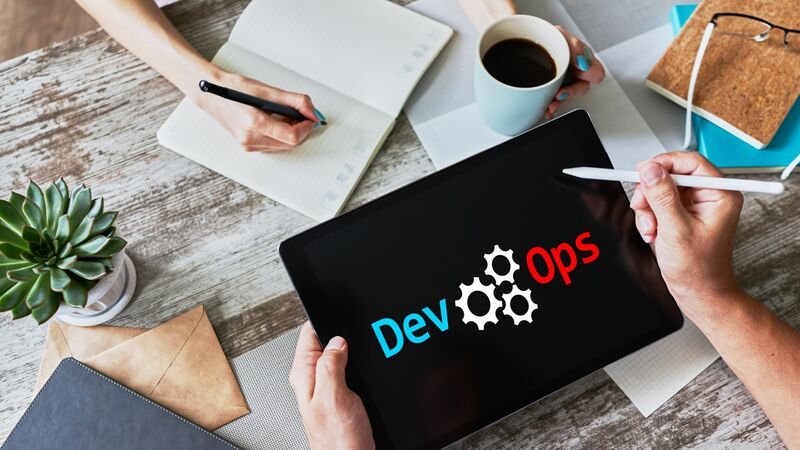 DevOps processes encourage cross-team collaborations to plan, track, develop, build, test, deliver, and monitor the operations of services or applications. The process aims to shorten the development life cycle, increase deployment frequency, and release reliable products and services that exceed user expectations and bolster businesses. The Azure Pipelines offer continuous development and integration over the cloud. There is no boundary on the language used. Further, the code can be pulled from and committed to any popular source-control systems. In addition to these, integration of Azure Pipelines with Visual Studio App Center allows for deploying mobile applications. Azure Boards help enterprises track and manage work through Kanban boards, backlogs, team dashboards, and custom reporting. The boards allow for tracking of work across teams and departments. Azure Artifacts help manage dependencies that exist in the project. The artifacts feature of Azure DevOps ensures immutability and performance of the project. Apart from Maven, NuGet, and NPM packages, users also use Universal Packages to store any file or set of files. Azure Repos provides access to unlimited, cloud-based git repositories and allows developers to pull the code, manage files, and search code. The Azure Test Plans service provides with user access to a manual and exploratory testing toolkit. Why is Azure DevOps Essential? Many businesses still do ot leverage the benefits a cloud-based development and IT management model. Most businesses still develop their code on different individual machines, commit them one by one and test the whole project. Not only this increases the time to market,but it also creates problems in identifying the bugs in the project. Using tools such as Visual Studio Team, services or Jenkins, businesses can build applications in the cloud. Each code commit is first made to a separate branch created for development. After the commit, the code is compiled and built for errors. The committed code is then added to the main branch if it has no errors. The procedure enables easy bug detection and helps accelerate development speed and improve the quality of the application or service. Due to the existence of a production environment on the cloud, enterprises can continuously test for newly added integrations in the production environment which provides organizations the confidence to continuously roll out tried and tested functionalities with ease. The automation platform reduces the infrastructure's complexity and machine to machine interaction to a simplified automated procedure. This way of automating the deployment is safer as it involves liberal usage of security, compliance and other tests. The production environment is automatically in safer hands as any errors or bugs are cleared out before production deployment. The otherwise time-consuming procurement/allocation of cloud resources is also automated eliminating the need to wait for the entire production infrastructure to be setup up manually. Long running Deployment jobs are spanning multiple iterations. Loss of time and developer’s effort in sorting out changes in the environment. Responsibility is not align to common goals or outcomes. The comfort of not worrying about any of the above problems and many more budding ones enable organizations to achieve their goals faster and with less effort. Increased reliability with products is achieved with intensive testing, pre-production environments identical to actual production setups. The environment behaves as a well-connected system of nodes thereby giving developer teams a greater sense of control. DevOps decreases the time to deployment drastically, and it is even more pronounced over multiple iterations or product releases. Along with the above two tools, you get a Git managed setup which is by default directly deployed to Azure (CD). The Azure DevOps Projects also handles the monitoring of the application after it is deployed. Inside Windows Server or Linux virtual machine in Azure Cloud. A Java, Python, Node.js, PHP application or a static website. As containers inside Azure container instances. The Azure DevOps ecosystem as you may recognize from above is encompassing towards its acceptance of the platforms used. It has 100+ services that cater to kubernetes, docker, custom OS, custom networking and monitoring of deployed applications. This has everything you will need to produce, deliver and maintain quality and powerful applications for your organization and its customers. While the world is moving towards cloud, fully migrated, CI/CD leveraging applications and services reside only with new implementations or large organizations. With our team of full stack consultants at TrnDigial and having deployed scores of application configurations with wildly varying levels of complexity, our collective experience can help you and your team in achieving a fully automated Azure DevOps solution.